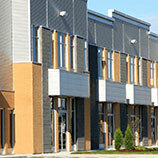 When you decide to invest in commercial property, you do it because there is a potential to make some extra money. But if you buy a property that is falling apart and don’t do anything about it, there is no way the value of your property will increase. The same rings true if your tenants are not taking care of the space that you are leasing to them. 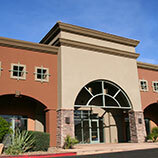 So we thought that we would share with you some simple ways to add value to your commercial property. When you are looking to add value to your commercial property, there are two types of improvements that you should make: cosmetic and substantial improvements. Cosmetic improvements are things that are going to benefit you when you rent out the commercial property, so things like new carpet, paint, and decor are among the improvements you can do. But if you are looking to sell commercial property, you will want to make substantial improvements like renovating the lobby or structural changes to the facade. If you add both documental and physical personalities to your commercial property, you can add a lot of value to your building. You could add or change the name of your commercial property, you could change the exterior paint colors and you can even add some landscaping. You can also add amenities like free wireless internet, a daycare and even a swimming pool. Paying for heating, air conditioning, electrical and all of the other bills for your commercial property can be expensive. But if you make some changes to energy efficient items, you could save some money. If you can change to energy efficient light bulbs, energy efficient appliances and place large windows in your building, you could lower your monthly expenses. If you need any other advice to help add value to your commercial property, contact North Bay Property Advisors. 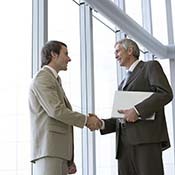 They will be able to provide you with valuable advice.